GrowthCap is pleased to announced the Top 20 Private Debt Firms of 2019. Awardees were selected based on application submissions and evaluation of firm performance including historical growth and impact on private business. In certain cases, firm performance was the primary criterion used. Private debt investment plays a critical role in the growth of the U.S. economy by providing capital to lower and middle market companies. Earlier this year, we wrote about The Rise of Private Debt Investing. The asset class has grown consistently and significantly each year over the last 10 years. Recent estimates place total private debt assets under management at approximately $640 billion. Congratulations to this year’s awardees. GSO is considered one of the world’s largest credit-oriented asset managers and currently boasts $128bn in credit assets under management. GSO sits as a distinct division of Blackstone, the $472bn global asset management firm founded in 1985 by Pete Peterson and Stephen Schwarzman. The firm’s 350 employees operate across a diverse spectrum of strategies, including leveraged loans, high yield bonds, distressed debt, mezzanine lending, and rescue financings. The firm is currently underway in raising $10bn for a specific pool of capital focused on direct lending to middle market companies. KKR was founded in 1976 by Henry Kravis and George Roberts. Today the firm is positioned as a global investment manager across multiple asset classes with $196bn in assets under management. KKR’s credit offering originated in 2004 after consistently being approached with proprietary opportunities that didn’t fit into its traditional private equity heritage. The firm’s credit strategy, which currently represents more than $65bn in assets under management, is broken down into leveraged and alternative credit categories. Specifically, the firm’s private credit strategy is characterized by a middle market direct lending and opportunistic credit effort which focuses on senior debt and mezzanine financings. Angelo Gordon is a privately-held alternative investment firm with roughly $28bn in assets under management in the global credit and real estate markets. The firm’s credit platform is deep, providing solutions across distressed, performing, residential & consumer, energy, middle market direct lending, commercial real estate, and liquid credit strategies. The middle market direct lending platform is operated through the firm’s subsidiary Twin Brook Capital Partners, which has deployed $9.4bn in commitments since its 2014 founding. Twin Brook targets senior facilities to middle market companies with less than $25m in EBITDA. THL Credit is the $15.8bn credit investment affiliate of Thomas H. Lee Partners, a leading private equity firm. The firm’s credit investments are centered around two strategies, direct lending and tradeable credit businesses. The direct lending strategy is focused on first lien, second lien, and unitranche investments in lower middle market businesses with between $5m and $25m in EBITDA. Industry focus areas include business and financial services, consumer and healthcare, and media, information services, and technology. Crescent has been strictly focused on credit investing for over 25 years. The firm currently manages more than $24bn in total assets. Its direct lending strategy is focused on private equity backed lower middle market businesses with anywhere from $5m to $35m in EBITDA. In 2018 alone, Crescent deployed $1.5bn in new direct lending commitments across 25 platform companies and 75 add-on acquisitions. Crescent is also one of the largest providers of mezzanine capital in the market, with its recent fund exceeding its fundraising target by nearly $2bn. Golub Capital has been a mainstay in middle market lending since its founding more than 25 years ago. It operates across three main strategies, including middle market lending, late stage lending, and broadly syndicated loans. The firm’s middle market activities are focused on businesses with between $5m and $100m in EBITDA, with the flexibility to provide unitranche, senior debt, revolvers, and delayed draw term loans. The firm’s late stage lending strategy is focused on providing growth debt to venture or growth equity backed businesses with at least $10m in recurring revenue. 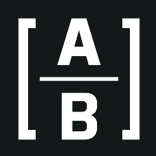 AB Private Credit represents the $8bn direct lending arm of AllianceBernstein, the $550bn global asset manager. The firm’s private credit offering provides numerous direct lending solutions to middle market borrowers, including first lien, unitranche, and second lien loans. They will also selectively consider mezzanine debt investments. AB Private Credit focuses on midsize corporate borrowers with EBITDA of $5m to $50m and enterprise values of $75m to $500m, both in sponsored and unsponsored situations. Ares manages roughly $96bn in credit assets across 156 funds around the world. These strategies include syndicated loans, high yield bonds, institutional and alternative credit, as well direct lending. The firm’s U.S. direct lending strategy, which is handled through Ares Capital Corporation (NASDAQ: ARCC), represents the largest BDC in the United States. Ares’ direct lending strategy is focused on the traditionally underserved financing needs of private middle market companies. 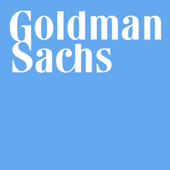 Goldman Sachs has been involved in direct credit investing through its Merchant Banking Division since 1996. They began with a focus on mezzanine, having deployed over $30bn since inception. They also initiated a senior loan strategy in 2008 focused on financing for mid- to large-sized leveraged buyout, recapitalization, and refinancing transactions. In addition, the firm’s asset management division (“GSAM”), which started in 1988 and currently manages over $1.5tn in assets, also includes private debt investing activities. While GSAM broadly employs a multi-strategy, multi-asset approach, its private debt activities include a robust middle market direct lending effort targeted on businesses with $5m to $75m in EBITDA. Partners Group is one of the largest investment managers in the world focused exclusively on the private markets. The firm currently manages over $83bn in total assets and employs more than 1,200 professionals across 19 offices worldwide. Its private debt strategy ($18bn) is focused on providing creative middle market financing solutions across the entire debt structure, including senior loans and mezzanine capital. Apollo operates one of the largest alternative credit platforms in the world. Credit assets under management at Apollo have grown at a CAGR of 29% over the last 10 years and the strategy is backed by over 243 investment professionals. Credit activities at Apollo are extremely broad, including non-traditional “off-the-run” asset classes, traditional middle market and corporate loans, and even distressed situations. The firm’s direct lending arm, Apollo Investment Corporation (“AIC”), is a publicly traded BDC with approximately $20bn in assets under management. AIC primarily focuses on direct lending activities in the U.S. middle market. BlackRock is the largest asset manager in the world with approximately $6 trillion in assets under management globally. Given its size, the firm is broadly diversified across different investment strategies and asset classes. Specific to private debt, the firm has been increasing the amount of capital dedicated to the strategy. As part of this effort, BlackRock purchased the $9bn private credit manager Tennebaum Capital Partners in 2018. It is also exploring other efforts to bolster its focus on private credit, an area the firm sees as an attractive place for growth going forward. CVC Credit manages nearly $22bn in credit assets across the sub investment grade corporate credit markets in Europe and North America. Its three main strategies include performing credit, credit opportunities & special situations, and private debt. Its private debt offering is focused on privately negotiated senior loans to middle market businesses with EBITDA between $10m and $75m. The firm targets loans between $30m and $100m per transition across a variety of industry verticals. Bain Capital Credit employs 294 investment professionals in a multi-strategy approach across global bank loans, structured credit, high income and multi-asset credit, distressed and special situations, as well private debt opportunities. The firm’s $7bn private credit strategy originated in 1998 and is primarily focused on senior, second lien, unitranche, and subordinated debt to middle market businesses with $10m to $150m in EBITDA. The firm will participate in both sponsored and unsponsored situations. Guggenheim is a global asset management and investment advisory firm with more than $203bn in assets under management. The firm’s corporate credit platform represents $69bn of assets spread across a variety of strategies. Guggenheim’s direct lending strategy is focused on $30m to $500m financing solutions in first lien, second lien, and unitranche structures. The direct lending effort is focused exclusively on highly negotiated investments in middle market companies for growth financings, recapitalizations, and acquisition financings. As a firm, Barings manages more than $300bn in total assets across the globe. Its fixed income strategy includes $226bn of assets across high yield, structured, private, emerging markets, and investment grade categories. Its Global Private Finance strategy represents its middle market direct lending strategy and totals $11bn in assets under management. The firm’s direct lending efforts are focused on opportunities between $5m and $75m in EBITDA and enterprise values of $25m to $500m. Kayne Anderson launched its credit offering in 2008 to support private equity sponsors and family-owned businesses in acquisition financings, refinancings, recapitalizations, and growth capital. In 2018, Kayne raised $3.1bn for its most recent senior credit fund. The firm focuses on $10m to $75m investments in middle market businesses with $50m to $500m in revenue and $10m to $50m in EBITDA. Investment structures are wide ranging and include senior, unitranche, mezzanine, and subordinated debt facilities. Main Street’s roots date back to the early 1990s when the firm first started providing financing solutions to lower middle market and middle market businesses. Today, Main Street operates as a “one-stop” provider of capital solutions across debt and equity alternatives with more than $4bn in assets under management. The firm focuses on companies with $10m to $150m in revenue and $3m to $20m in EBITDA. Typical structures include senior secured, unitranche, and subordinated debt, as well as preferred and common equity. Main Street has invested in more than 180 companies across 50 industries since inception. Crestline Investors is an alternative investment management firm founded in 1997. The firm specializes in credit and opportunistic investments, which includes a robust direct lending effort focused on lower middle and middle market businesses. The firm’s direct lending strategy is typically deploying $20m to $100m in capital in first lien, unitranche, and second lien structures to support acquisition financings, growth capital needs, leveraged buyouts, recapitalizations, and secondary purchases.